We are very pleased to offer this wonderfully preserved late model Mini 1275 MPi. 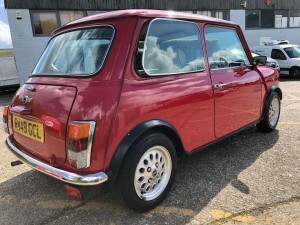 Built in limited numbers they were designed to represent the charm of the first production Minis and have always remained popular and a subtle alternative to the Coopers. 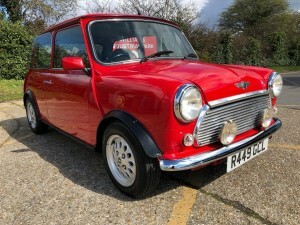 Finished in gleaming flamed Red with contrasting cream Balmoral check trim, it oozes appeal and this one has covered only 51k in 21 years and has only had two previous keepers, it is also accompanied with its original handbooks, fully stamped service book and a history file which illustrates what a easy and well cared for life this Mini has had. Fitted with the ever popular Multi point fuel injection or MPi, all you need to do to enjoy this Mini is turn the key and go, i can not sing its praises more for it when its out on the open road, it just feels good, new and taught and it gives the real Mini driving experience. 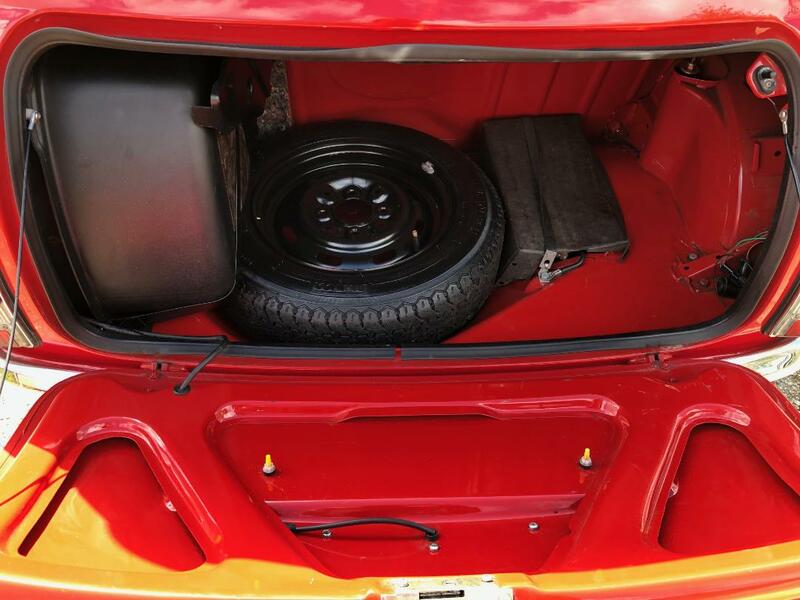 MPi Minis also feature a drivers airbag, side impact beams, rear belts and an alarm and immobiliser. 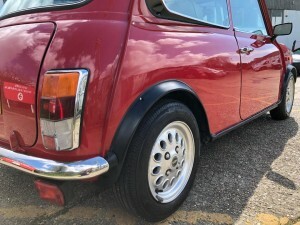 They are also taller geared for easier long distance cruising. 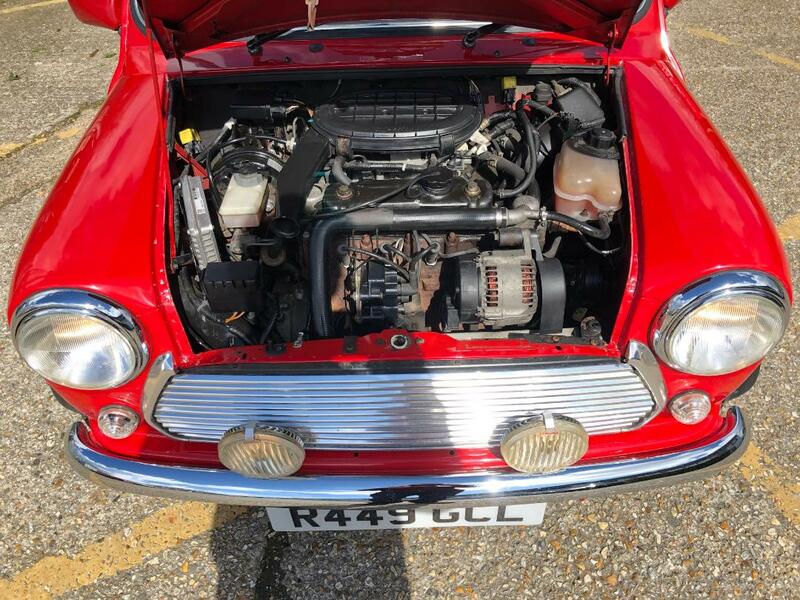 On the road this Mini is an absolute gem to drive, the 1275 engine performs well through all the gears and this Mini can really get going when pushed and it benefits from a smooth gearbox. It sits on its original pepperpot alloys and has recently had a adjustable coil spring suspension fitted which makes the handling fantastic and makes the ride very smooth indeed, its a very impressive upgade and makes this Mini a pleasure to drive. 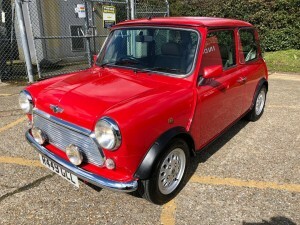 Its just a great Mini to drive and i am sure the new owner will agree. 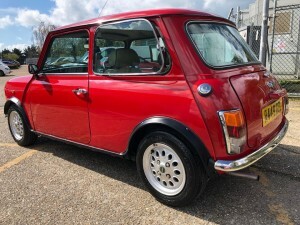 This Mini also has a fantastic solid shell with its original vented sills, floors, wings and boot. 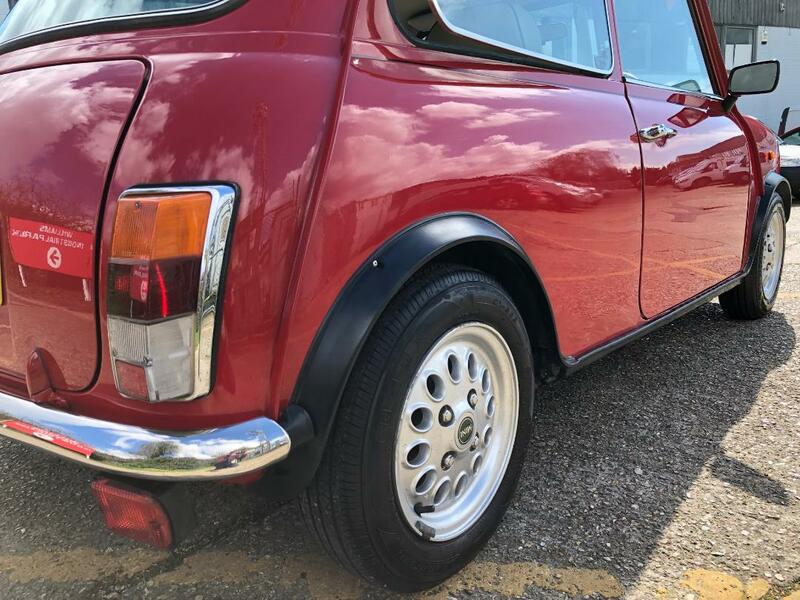 The paintwork belies its years as it gleams in the sun and it gets lots of admiring glances out on the road. 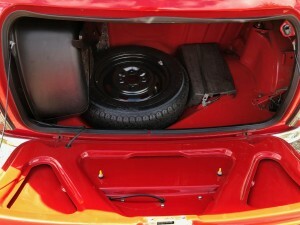 Its also very nice to see a completley original one, making this a fantastic proposition. 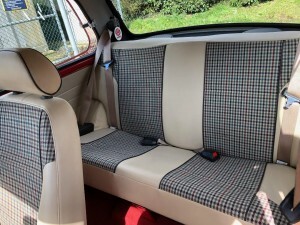 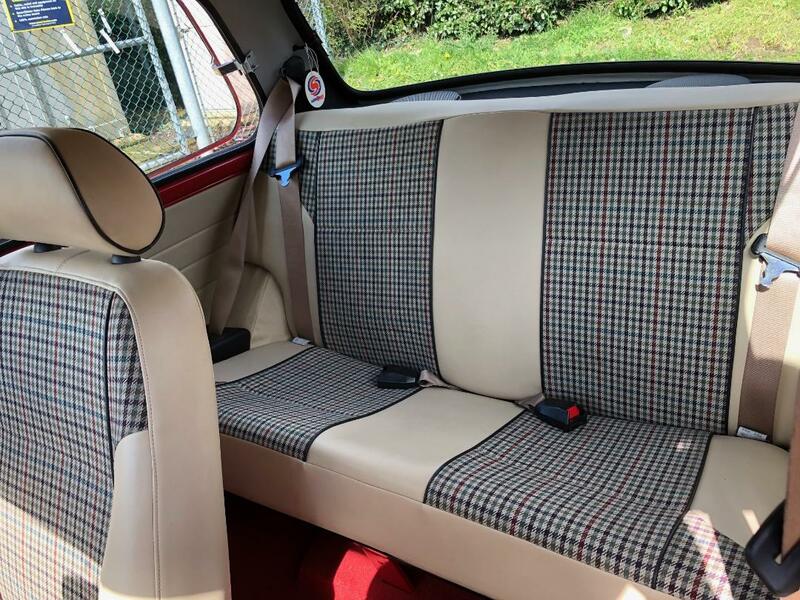 This Mini has a very well preserved and classy interior. It has the half leather Balmoral check trim, an immaculate burr walnut 3 clock dash with an analogue clock and its original Rover stereo and its finished off with its original carpets. 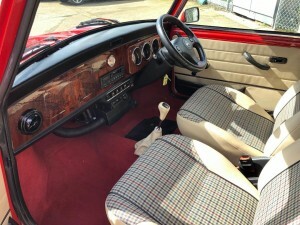 The interior is a very nice place to be and it still feels new. We have also teamed up with Pegasus finance helping you to spread the cost of your Classic. 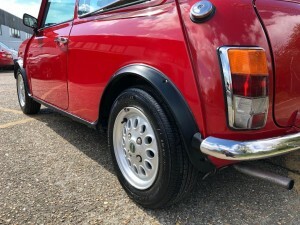 The easy to use link is on this website. We are constantly preparing Classic Minis for sale so please get in touch with you requirements, we are always happy to help.